It’s always fun and never a chore to do these podcasts – Brainstormer Lani said to me the other day that in all this time, she’s never heard me say “Ugh, I don’t want to do the podcast today.” Which is true … but today I was particularly excited to do it, because of the subject matter. 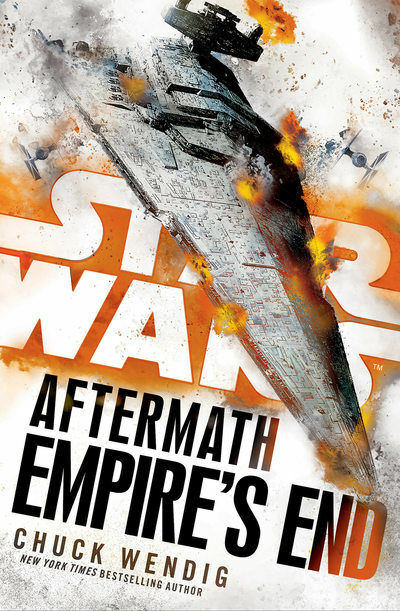 Spoilers follow for Aftermath: Empire’s End! Before Palpatine’s demise at the hands of the rebels, the computers finished their calculations, finally finding a way through the [Unknown Regions]. The Emperor was convinced that something waited for him out there—some origin of the Force, some dark presence formed of malevolent substance. He said he could feel the waves of it radiating out now that the way was clear. Ladies and gentleman, does that sound like Supreme Leader Snoke, or what??? Also in the novel, Brendol Hux and his son Armitage (the latter being the General Hux we know from The Force Awakens) escape from Jakku to this random point in the Unknown Regions, where the Eclipse is hanging out, waiting for a leader. The Eclipse is the Emperor’s Super Star Destroyer, stocked with “loyal” folks for rebuilding the Empire – what will become the First Order, presumably. But it’s not going to be led by Gallius Rex. Rae Sloane got her revenge on him, and will be the one taking over command of the Eclipse and this burgeoning new threat. Could that mean we’ll see Rae Sloane in The Last Jedi? Incidentally, assistance in exploring the space outside the galaxy came from none other than Grand Admiral Thrawn, whom the novel says the Emperor kept around just for his extra-galactic knowledge – and not for his skill as a leader, unfortunately. The usual xenophobia from the Emperor, it seems. What do YOU think about the possibility of A) that “dark presence” being Snoke, B) Rae appearing in The Last Jedi, and C) heck, while we’re at it, either or both Brendol Hux and Grand Admiral Thrawn appearing in The Last Jedi? Have your say in the comments! Today’s question: Name the times Finn ignites the Skywalker lightsaber! 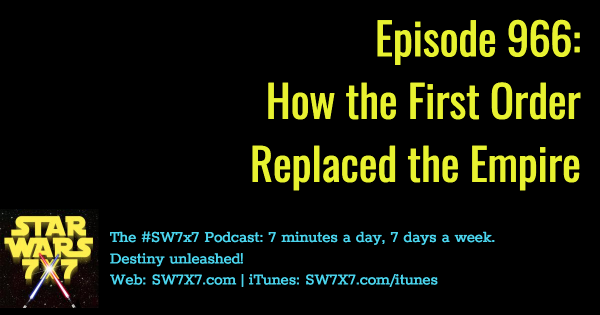 Previous Post: Episode 965: What Became of Jar Jar Binks?